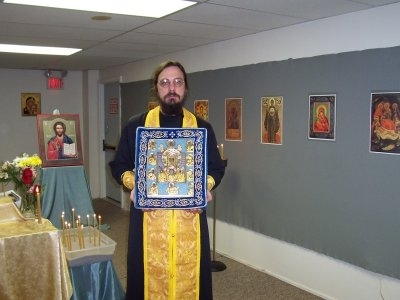 The parish family of St. Tikhon's was blessed with a visit of the wonderworking Kursk Root Icon of the Theotokos of the Sign,. This event took place on Tuesday evening, March 8 . This Russian icon of the Mother of God, now 700 years old, has been a constant source of healing, comfort and deliverance from calamity for countless numbers of Orthodox Christians who sought the heavenly intercession of the Most Pure Theotokos. Since its miraculous appearance to a pious hunter in the forest near Kursk, Russia in the year 1295, the icon has survived fire, deliberate attempts at destruction, numerous wars, and the Russian Revolution. 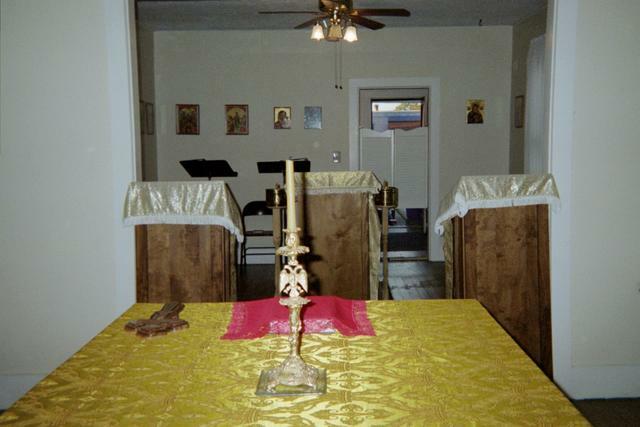 In 1919 the icon was carried out of Russia, and since 1957 has resided in the Russian Orthodox Cathedral of the Mother of God of the Sign in New York City. 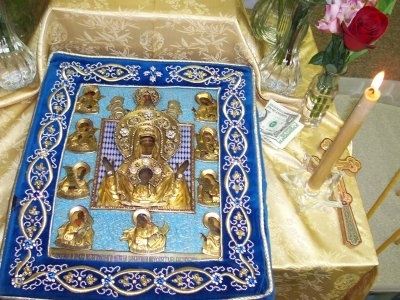 Each year the wonderworking icon is taken on pilgrimage around the world to parishes of the Russian Orthodox Church Outside Russia, where the faithful venerate the icon and offer prayers to the Theotokos. 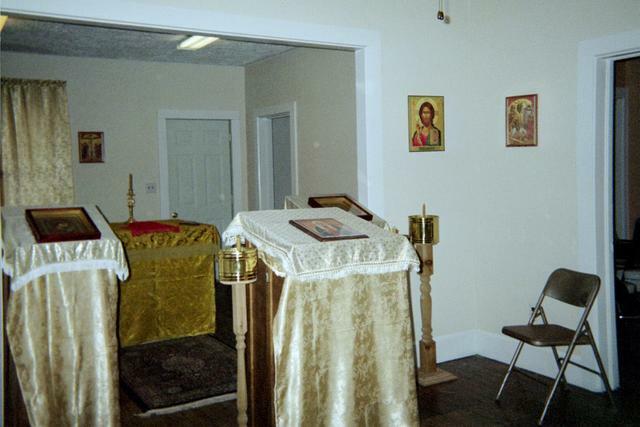 The icon is considered to be the protection of Orthodox Christians living everywhere beyond the borders of Russia. You can learn more about the wonderworking Kursk Root Icon here. 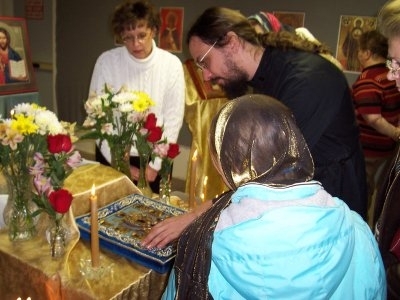 Tuesday evening, Priest Victor Boldewskul, Dean of St. Sergius Russian Orthodox Cathedral in Parma, served a brief Akathist to the Theotokos of the Sign before the Holy icon beginning at 7:30 p.m. After the service, the faithful were be able to venerate the icon.